It was a normal Tuesday, May 23 until I gave Darrin Brown, president of McClung-Logan Equipment Company in Baltimore Maryland, a ring. I wanted to get his input and thoughts on our earliest installment of monitors mounted on his boat Catchin’ Grief. Not only did I learn about his perspective on our company, but the exciting hunt for him to discover this beautiful vessel. 1. Tell me about your boat. So, what’s the story behind this boat, how did you come to discover her and purchase this unique style? Brown: Well, I’ll try to keep this story short because it’s quite a long one. I was starting to give up my search for a boat this style, I just wasn’t finding anything I liked in the budget I had set. I started going down a totally different road with my searches because I couldn’t find any larger sportfish style boats. One day, then, I just looked again and low and behold this boat popped up, and I immediately fell in love with it. The builder is a company called Calyber Boatworks, and Trevor Sherrick is the owner/builder out of North Carolina. When I was considering the boat, the Green Marine monitors were installed. This was the first time I saw these products, so when I saw the boat I started asking questions about the electronics packaged. I learned about the monitors and just searched for the Green Marine Monitors company and talked to Keith. I got to hear Keith’s story, and subsequently, I ended up buying the boat. 2. I believe you are the second owner of this boat. How old was it when you purchased it and how long have you had it? Brown: The boat was built in 2010 and I purchased in 2016. And the boat had 700 hours, now it has 780. It actually began its life in Maryland, here, and the previous owner took it to Florida where he had a home, and it was there probably 2 to three years. So, I purchased it down there and brought it back. 3. 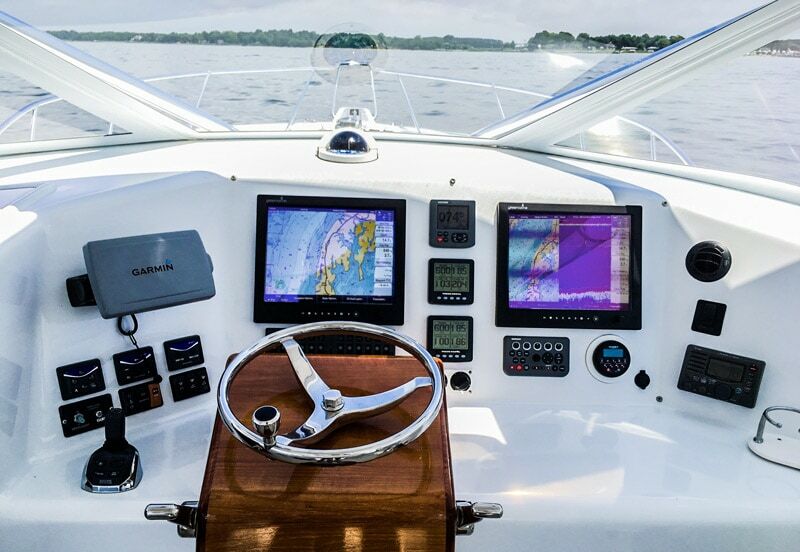 How many of our monitors do you have on our boat? Brown: We have one 12-inch monitor in the tower and two 15 inch monitors in the helm. And I really do love them. They are beautiful screens, large, and the image quality is super on them. 4. I noticed that the boat is pretty much open so the monitors are exposed to the environment. How do they react to these conditions? Brown: My windshield opens at the lower helm and I try not take spray in their but if you do they are sealed really well. They have a nice tight gasket fit up against the dash so at the end of the day we take a hose to wash everything down. 5. What are the monitors used to display? right in front of me, but It’s nice to split large screens to see more and exactly what I want. 6. 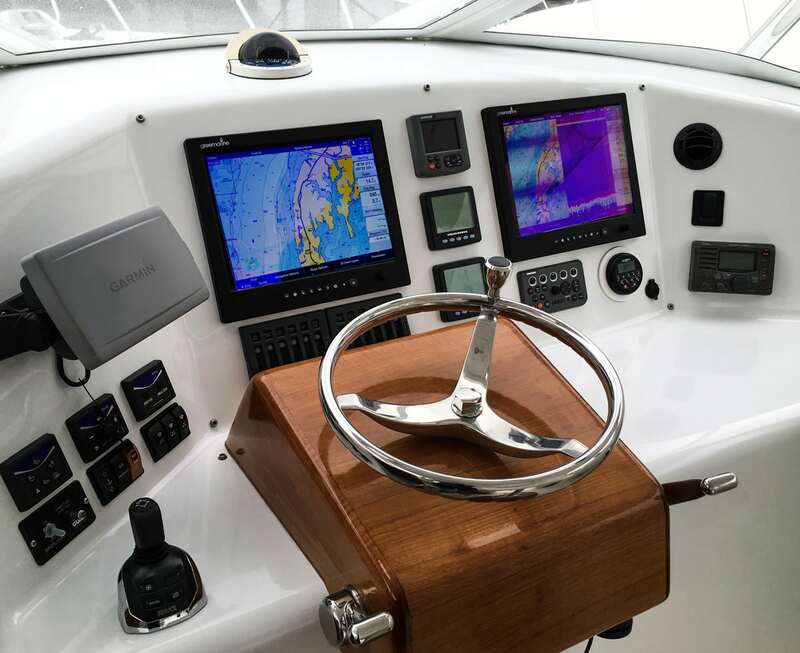 Since you are on an open-style fishing boat you are obviously in a high ambient light environment, so how do the monitors actually perform? Brown: You can read them even in the brightest of sunlight. One of the very simple but extremely useful features of these monitors is the brightness knob that is right on the monitor. You can turn it up all the way in bright sunlight and see really well. And the reason I say it’s simple but so useful is that all manufacturers allow you to dim and brighten a display, but it normally takes several keystrokes to get there in the menu. It’s super handy just to be able to turn a nob, and have that immediate impact, especially at night when you want to turn in down and not interfere with your night vision. 7. 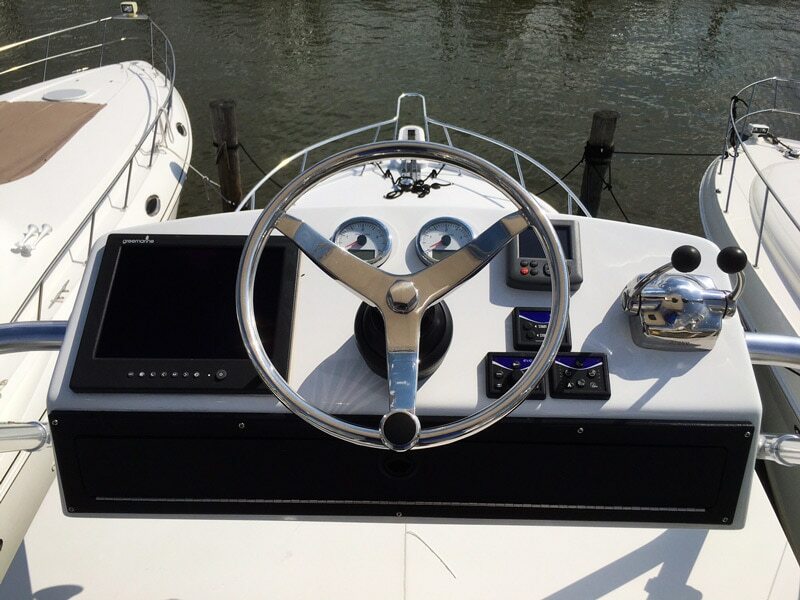 You recently worked with Green Marine to update the front bezels on your 15-inch units. Can you tell me what that experience was like? Brown: The service was perfect. I talked to Keith Grapes when I bought the boat and after I bought it to make improvements and clean things up. The bezels at the lower helm had shown some aging and corrosion so I was going to take them off to clean them up and refinish them. I called Keith before I took the monitors out of the dash just to ask him how hard of a job this would be. Keith told me exactly that as long as I had time to take all the little screws out, that it was pretty simple. Then, he offered some new bezels he’d send to me which was less time consuming and more cost effective for me. He had also sent new gaskets, new rubber pads for the function buttons that protrude from the inside, and all new mounting brackets as well. It was super. I would absolutely recommend to other boat owners. 8. 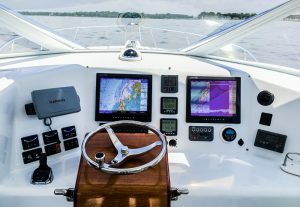 Where can Green Marine Monitors improve their customer service? Brown: Well, I have a FedEx package on my desk that came in the other day. When I changed the bezels, a wire got pinched. The electronic discovered it and took care of it, but we needed a new gasket in the back from taking it off. And Keith ended up sending three gaskets, one for each monitor, and he didn’t charge me a dime for it. So that’s great customer service if you ask me. 9. Is there anything we could do to improve our monitors? Brown: I don’t have any criticisms for the monitors. I know some monitors use anti-glare which helps with the sunlight, so maybe focusing on that technology and improving it. 10. Do you have any last thoughts? What else would you want to say about this company? Brown: Well, I don’t know that a lot of sport fishermen know about these monitors. I think the industry needs to know that these products are available because sports fishermen and even different types of boaters would really like this setup. As we ended our discussion all I could say was that I felt a warmth of admiration come from the other end of the phone. 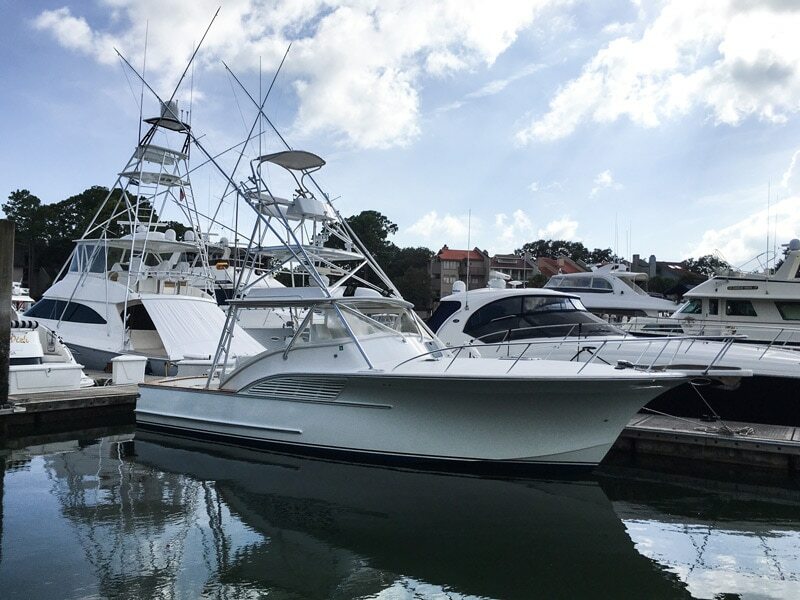 Brown’s excitement not only about our products but about his boat and love for the sea manifested in my imagination as I saw his Catchin’ Grief take off from the docks. Brown said he’ll keep in touch about his adventures in the future, and we are looking forward to writing those stories down here too.